President Moon Jae-in said he is determined to prevent a tragic incident like the Sewol sinking from ever happening again. 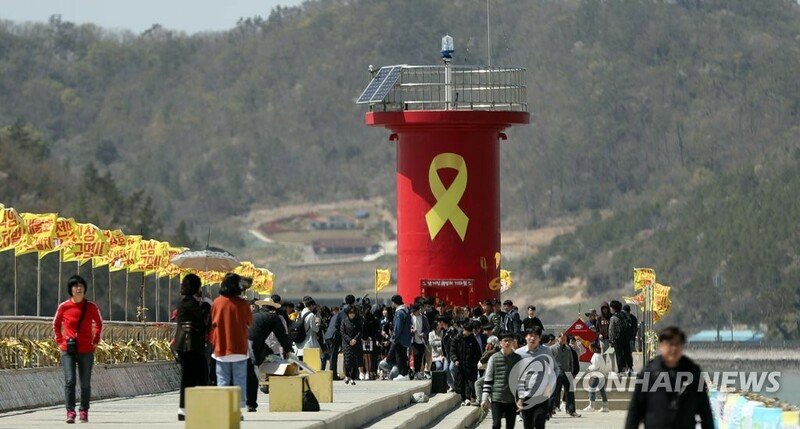 Moon expressed his resolution on Facebook on Tuesday to mark the fifth anniversary of the ferry sinking that killed more than 300 people, including 250 high school students on a field trip. Noting that he always thinks about the incident, Moon ensured the truth will be revealed and that those responsible would be punished. The president assessed that much change had taken place in the five years following the sinking including people's attitudes towards safety-related matters and their empathy for neighbors. As an example, Moon cited the residents in Gangwon Province who took care of each other in the midst of the recent massive wildfires that swept through the region. He said ordinary people who keep the incident in mind are changing the world. Moon reiterated his condolences to the bereaved families and vowed to keep the promise to prioritize public lives and safety.